The reproducible materials can be downloaded and printed in PDF format. Spirituality and religion are powerful forces in many people's lives, yet they are usually relegated to the periphery of cognitive-behavioral therapy (CBT) research and practice. This highly practical, nonsectarian book describes how to identify and work with psychologically relevant facets of spirituality in the context of evidence-based treatment. 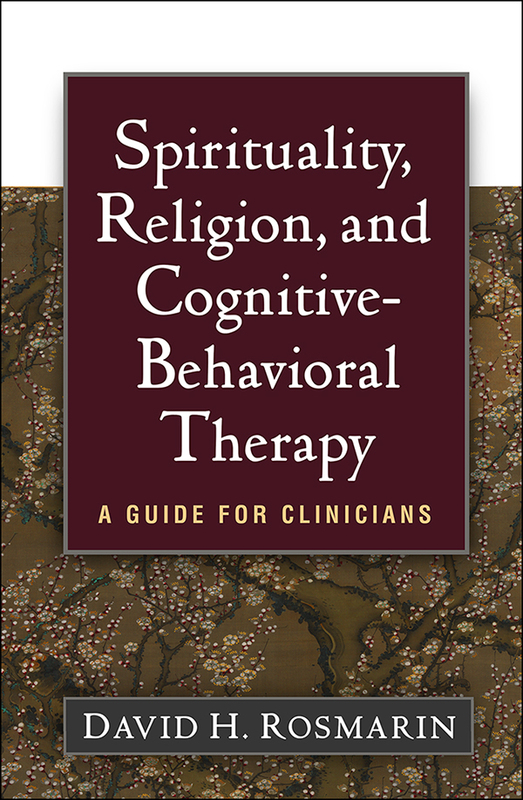 David H. Rosmarin draws on cutting-edge theory and research to provide clear guidelines for conceptualizing positive and negative aspects of spirituality pertaining to common clinical concerns. Concrete examples throughout the book illustrate collaborative ways to harness spiritual beliefs and practices to help bring about cognitive, behavioral, and affective change. Four reproducible handouts can be downloaded and printed in a convenient 8½" x 11" size.